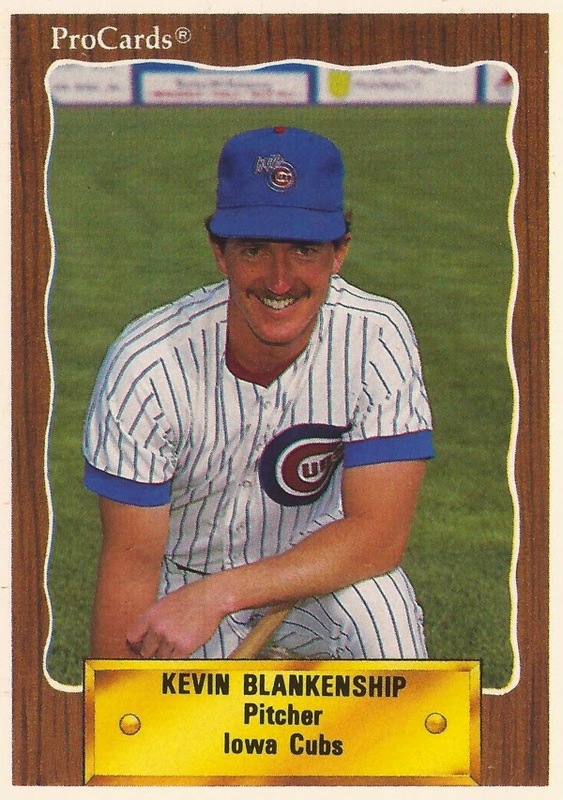 The Cubs were fighting for the National League East, but rookie reliever Kevin Blankenship apparently couldn't get that excited. He also couldn't get to the ballpark on time. With the Cubs heading down the stretch run of 1989, Blankenship overslept for a game. Then he was late for a physical. He also had just overstayed his welcome: There were apparently plenty of other marginal relievers who could at least show up on time. "I overlooked it," Cubs manager Don Zimmer told The Chicago Tribune of Blankenship's first infraction. The club had to wake him in his hotel room at 11 that morning. "I'm thinking to myself, 'How the hell could somebody oversleep a day game and show up at a quarter to 12?'" But, after the second infraction, showing up 15 minutes late for the physical, Blankenship was done. "I called him into my office and said, 'Go on home,'" Zimmer told The Tribune. "I sent him home," Zimmer added later, speaking two days before the Cubs clinched the division. "That's it. I didn't ask for any explanation." Blankenship had been with the Cubs system for a year, traded to Chicago the previous September as Cubs 80s stalwart Jody Davis was sent the other way to Atlanta. Blankenship's professional career began in 1984, signed by the Braves as an amateur free agent. He made AA Greenville in 1986 and remained there in 1988. That year, he had a string of 24.2 shutout innings for the AA Braves, a string snapped in August with another win, according to the Orlando Sentinel. With that show, Blankenship earned a September call-up directly to Atlanta. He made his major league debut Sept. 19 against the Giants. He pitched 3.2 innings, gave up three runs and took the loss. One more appearance and it was off to the Cubs. Five innings, this time giving up four earned runs in the second-to-last game of the season and Blankenship got the win. On to 1989 and Blankenship excelled at AAA Iowa. In August, he was seen as a leading candidate for September. He'd gone 13-7 for Iowa, with a 3.45 ERA. He'd also been selected for the AAA All-Star team, according to The Tribune. He made two appearances that September, Sept. 2 and Sept. 19. In a total of 5.1 innings, he was effective, giving up just one earned run. Then he was sent home. By 1990, all was forgotten, but his time left in the majors would be brief, and he would make another mistake. Blankenship earned a late-May call-up and a May 29 start. He went seven innings, giving up three runs, only one of them earned. The two unearned runs were caused by Blankenship himself. He couldn't find first base while covering the bag, according to The Tribune. "I threw the ball well," Blankenship told The Tribune after the game, "but I was my own worst enemy. I've covered first base a million times, and that's the first time I've missed it. I missed it by a mile." Blankenship took the loss, the final score 6-2. Blankenship only had two more appearances for the Cubs that year. They were the last two of his career. He held on in the minors through 1992, stopping in the Pirate and Ranger systems. His playing career done, he signed on with the Mets as a scout. But, after that May 1990 game, Blankenship knew he'd screwed up. In that game and, especially the previous September. "This is the chance I've been waiting for," Blankenship told The Tribune. "I just have to take advantage of it."